Lt. Col. Lance Wang, left, Maj. John Schott, center, and Capt. Matthew Deener, all assigned to Headquarters and Headquarters Company, 58th Infantry Brigade Combat Team, play the Johnny Cash song "Folsom Prison Blues" during downtime at Camp Victory, Iraq. 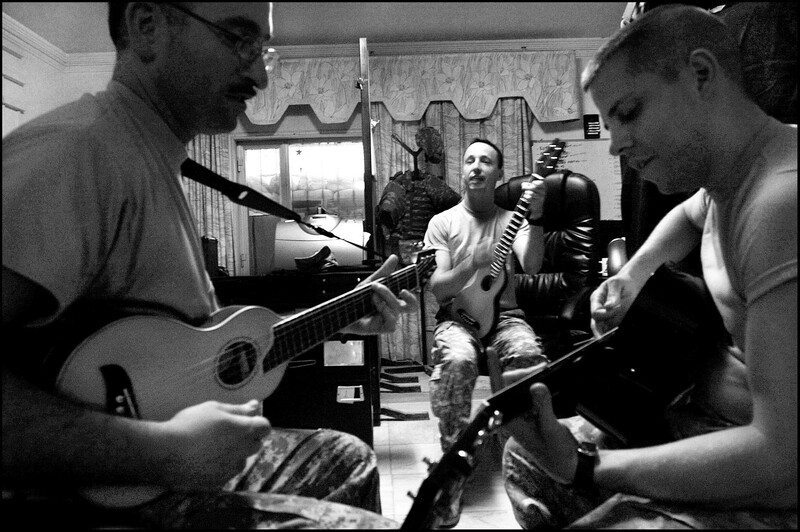 The three Soldiers, along with others from the unit, get together every Saturday evening to play music and let off steam.